For the past 20 years, Yoobee has been arming creatives with the technical know-how and practical, real-world skills to turn their brilliant ideas into careers. With campuses in Auckland, Wellington, Christchurch and online, Yoobee is New Zealand’s largest specialised digital design school. Yoobee School of Design is part of New Education Group and Animation College, as the registered PTE, awards all of the qualifications that are offered by Yoobee School of Design. Yoobee programmes embrace new and emerging technologies and the latest media platforms, with pathways from certificates and diplomas through to degrees with some of our partner schools. 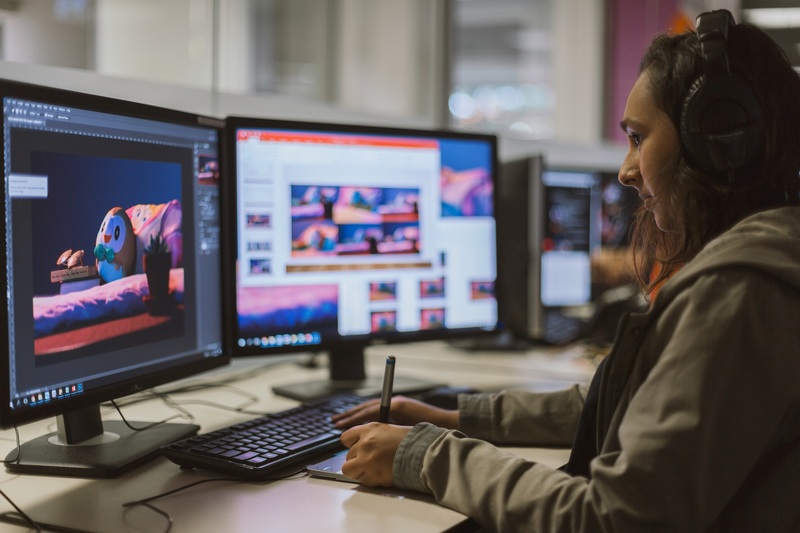 From Digital Media and Design, Web Design and UX and 3D Animation, to Filmmaking, Game Art and Development and 3D Graphics, our programmes keep you plugged into industry advances, and on top of your game. Delivering full time, part time and online programmes, Yoobee opens doors to the best digital and design studios in the world. Our experienced design educators are fully connected with the creative industry. They’re animators, directors, graphic designers and special-effects artists. This keeps Yoobee real, relevant and cutting edge. Friendly, accessible tutors, a supportive environment and practical training enable our students to unleash their creative potential and forge extraordinary careers. A vibrant community of design practice, our tutors and students share a passion for digital technology and inspired creativity. We collaborate, we innovate, we push boundaries. Our students gain hands-on experience with industry-standard software and learn how business meets art in the creative sector. They graduate with the perfect mix of technical prowess and creative genius for today’s (and tomorrow’s) employers. At Yoobee School of Design, we create creatives.